Earthbath® Ear Wipes are a fast, convenient way to keep your pet’s ears free of wax and discharge which can cause infections and odor. These wipes contain witch hazel, a natural cleanser and astringent, plus a sumptuous mix of nature’s finest plant extracts with gentle therapeutic and deodorizing properties. Safe for all dogs, cats and other furry pets over 6 weeks old. Naturally fragrance-free & flea treatment compatible. 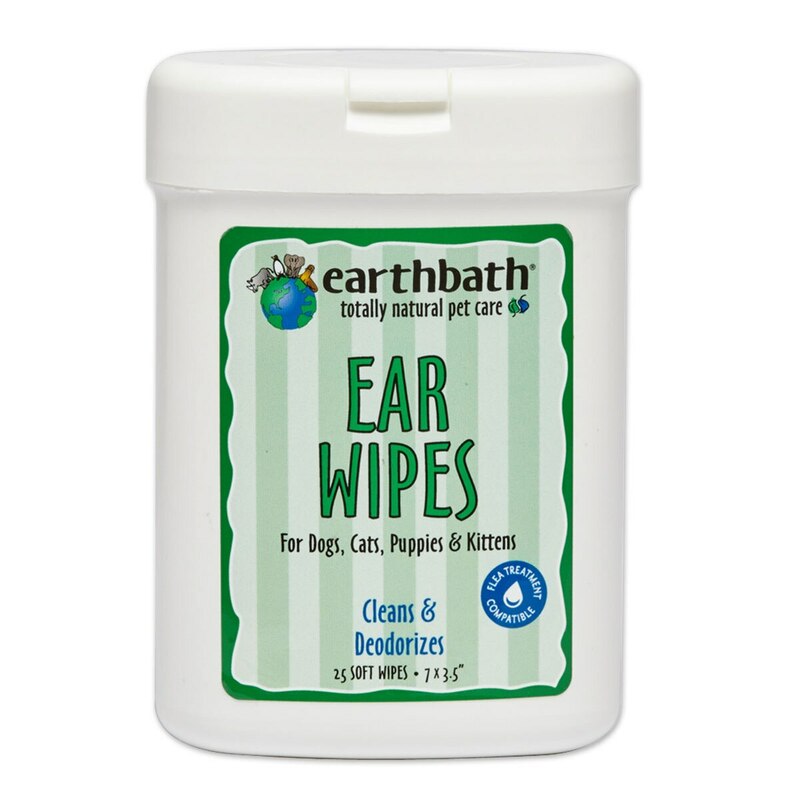 earthbath® Ear Wipes is rated 5.0 out of 5 by 1. Rated 5 out of 5 by Emily Alix from Great for horses, too! My horse has had two ear surgeries to remove a tumor from his ear canal and as a result of the surgery, his canal in one ear is more open and he has quite a bit of discharge on a regular basis. These wipes are perfect to wipe out his ear, and he doesn't even mind them! He'll lean into me when I clean out his ears! They smell nice and I love the portable container.